The War of 1812 did not leave us with a Declaration of Independence or an Emancipation Proclamation as its legacy; it left us with a song. Poet Francis Scott Key wrote the “Star Spangled Banner” after being detained by the British and witnessing the bombardment of Fort McHenry in Baltimore on September 14, 1814. Although most Americans learn the lyrics to the National Anthem by the age of 6, we learn very little about the poet. And my recent research into Key offers a reason why—it is hard to declare the words “land of the free” so certainly once we know that the man who wrote them not only owned slaves, but openly protested against abolitionists. Given his racial status, class, and home, Key’s support of slavery in somewhat unsurprising; slavery surrounded Key throughout his life. He was born in western Maryland in 1779, and he lived in Maryland and Washington, D.C. until his death in 1843. Key came from a wealthy family, and, after studying law in Annapolis, he opened his own firm in Georgetown. From the very beginning of the nation, slavery had been integral to Washington, D.C. By 1800, slaves outnumbered free blacks 4:1 in Washington, and as the 19th century progressed, the city grew to be a center of the domestic slave trade. With the Civil War still fifty years in the future, slavery was an ingrained part of the nation’s social and economic state. Key, then, was not an anomaly in owning slaves and upholding the slave system. He grew up on his family plantation, Terra Rubra, and by 1831, he owned seven of his own men. In court, he defended slaveholders’ rights to own human property and prosecuted abolitionists. However, Key’s actions did not always coincide with his beliefs. For instance, he was deeply religious, and once nearly abandoned his law firm to join the ministry. Interestingly, his religious views made him vehemently opposed to of the War of 1812, although he did serve briefly in 1813 because of his devout love for his country—and he achieved everlasting fame for writing a poem glorifying America in the war. But more importantly, Key’s religion led him to campaign against the slave trade and consider slavery sinful. As a man incapable of violence, he called slavery a “bed of torture” unheard of in any other circumstance. Likely, this dichotomy between Key’s principles and his actions led to his most vocal opinion on slavery, and one that would become his most tangible legacy. Key argued that the best solution to slavery and the millions of blacks now residing in the U.S. was to send the African Americans “back” to Africa—even though, by the early 19th century, many had been born in the U.S. He helped found the American Colonization Society, an organization which eventually succeeded in forming the independent Liberia on the west coast of Africa in 1847 as a new homeland for enslaved African Americans. Although a seemingly radical response today, in the early 19th century, with emancipation still decades away, perhaps Key simply could not fathom that the horrific transatlantic slave trade could ever result in blacks and whites living peaceably together. The “Star Spangled Banner,” after all, reinforces America as the “land of the free”—a notion irreconcilable with the millions of slaves in the nation. Here, Wendell, unlike Key, foresaw not only the inevitable emancipation of the nation’s slaves, but also the freed African Americans gaining full citizen rights and ensuring the country’s preservation. Today, this verse is not considered an official part of the National Anthem, but during the Civil War, it was printed in song books throughout the northern United States as an extension of Key’s lyrics. In this way, Francis Scott Key and the War of 1812 bequeathed to the nation not just a song, but a step toward the perpetuating of liberty—just as the Revolutionary War and Civil War did. Davis, Damani. “Slavery and Emancipation on the Nation’s Capital: Using Federal Records to Explore the Lives of African American Ancestors.” Prologue Magazine 42, no. 1 (spring 2010). http://www.archives.gov/publications/prologue/2010/spring/dcslavery.html. “Francis Scott Key.” National Park Service. Last modified April 3, 2013. http://www.nps.gov/fomc/historyculture/francis-scott-key.htm (accessed April 23, 2013). Gelb, Norman. 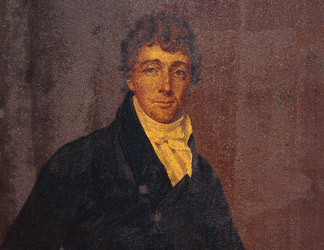 “Francis Scott Key, the Reluctant Patriot.” Smithsonian magazine (Sept. 2004). http://www.smithsonianmag.com/people-places/Reluctant_Patriot.html#ixzz2Of5jFMVh. Holmes, Wendell Oliver. “Star-Spangled Banner.”The Soldier’s Companion: Dedicated to the Defenders of Their Country in the Field, by Their Friends at Home. Boston: American Unitarian Association, 1865. E-Book. http://books.google.com/.